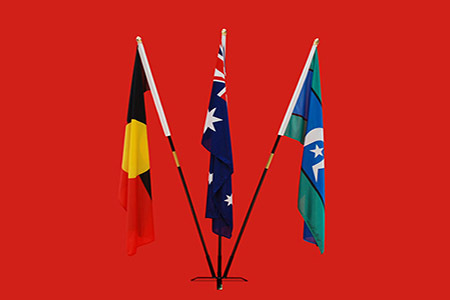 Flag & Flagpole Manufacture, Flag Hire, Flagpole Repairs, Flagpole Maintenance, Flag Repair, Graphic Flag Design, Quality Custom Made Screen Printed Flags and more..
Barton, Canberra, Charnwood, Deakin, Forrest, Fyshwick, Braddon, Griffith, Kambah, Mitchell, Monash, O'Connor, Palmerston, Queanbeyan,Stirling, Tuggeranong, Weston. Perth, Albany, Bayswater, Broome, Bunbury, Carnarvon, Canningvale, Collie, Derby, Esperance, Exmouth, Fremantle, Geraldton, Greenwood, Kalgoorlie, Karratha, Kununurra, Kwinana, Malaga, Mandurah, Midland, Newman, Peggs Creek, Pilbara, Collinsville, Port Hedland, Rockingham, Subiaco, Telfer, Tom Price, Welshpool, Onslow, Dampier, Barrow Island, West Perth, Bibra Lake, Wattleup, Paraburdoo, Telfer, Roebourne, Marble Bar, Rocklea, Mulga Downs, Ningaloo, Coral Bay, Pardoo. Adelaide, Mt Gambier, Maree, Murray Bridge, Port Adelaide, Port Augusta, Port Pirie, Port Lincoln, Regency Park, Roxby Downs, Victor Harbour, Woomera, Whyalla, Ceduna, Glenelg, Willunga, Gawler, Crystal Brook, Renmark, North Adelaide, Unley, Mount Barker, Norwood, Bridgewater, Morphett Vale, Largs Bay, Goodwood.